Noticia archivada en la categoría: Uncategorized | Publicada el 20 April del 2017. As you know, we always try to be at the forefront in the field of new technologies applied to education. 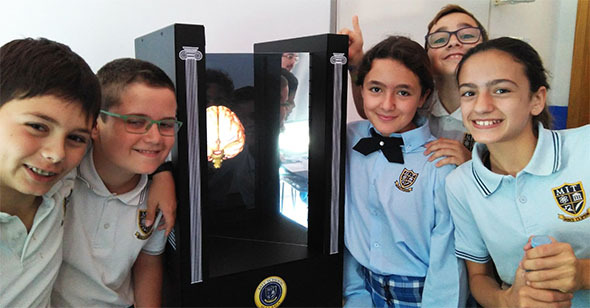 Therefore, we will be the first school in Spain to use holograms in its teaching practice! These three-dimensional optical images offer infinite possibilities for teaching, from touring ancient buildings to simulations of problems of physics, for example. 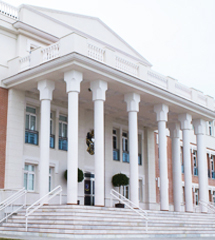 The company BackBlack, winner of the prize of the Association of Young Entrepreneurs of Malaga to the Best Entrepreneurial Initiative 2017, Innovative Company recognized by the Ministry of Economy and Competitiveness and supported by the program of Telefónica Andalucía OpenFuture and by Andalucía Emprende, will be the one to facilitate this technology to the school. We welcome this new adventure in our learning proccess!